Be sun smart and get beachy! 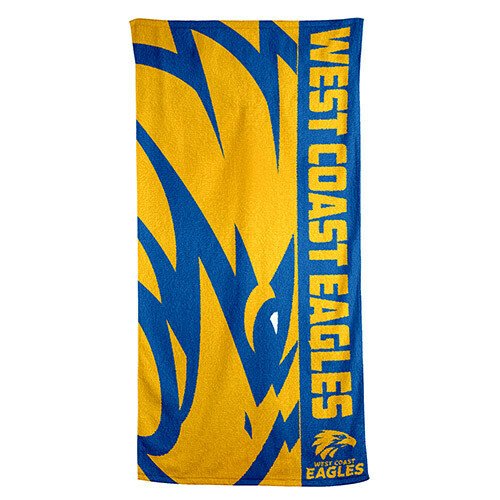 Dry off with your West Coast Eagles Logo Beach Towel. The standard size cotton beach towel measures 75 x 150cm, and has an absorbent 405g thread count. Featuring the clubs colours and logo, this beach towel is the perfect gift for the passionate Eagles fan !